Printing a material requires high precision and high speed production. The coincidence of colors, as the ton of paint onto the print material must be accurate throughout the printing. Till now set up of a printing press was done mechanically with inaccuracies in the finished product. 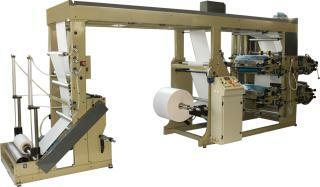 Servo systems have been introduced into each printing cylinder to regulate the coincidence of colors. Regardless of the diameter of each cylinder, the final image print is detailed due to high accuracy.The tone of each color is adjustable due to micro-adjusted cylinder displacement. The system of a printing press is fully automated and easy to use by the user.